One teacher can make an everlasting impact on a child’s life. Think back to your days in school. I’ll bet you had a good teacher—hopefully several—you still remember to this day. A child spends more time in class than at home, on a typical school day… if we don’t count sleeping (at home, not in class). The time our child spends in school—the most developmental years—is valuable. There are many things that should be, but often aren’t, taught in school. Some would argue that these things should be taught at home, and I agree. But they usually aren’t taught there either. Getting these concepts in the schools is the only way we can ensure that all students are getting this information… especially kids who come from broken homes or homes where the parents are too busy to teach there kids and therefore rely on the school system for everything. I’m not here to argue about how those parents should be spending more time with their kids; that’s not something you and I can control. But we can push to see some of these concepts taught in schools, and if you’re a teacher, you can start bringing some of these ideas into your classroom. There are many amazing teachers out there who break boundaries and do things differently. I would love those teachers to get some ideas from this list. As a society, we disagree on some points and concepts within the things below, and that has led us to leave many of these things out schools entirely. It doesn’t have to be that way. When I explained some possible reasons why finance isn’t taught in schools, I gave five points, and I think those reasons apply here too. Disclaimer: I do understand that some of these concepts are taught in some classrooms. I understand this article title may imply that none of these concepts are taught anywhere in the country. We both know that’s not true. I don’t like all-inclusive statements either, but article headlines don’t offer a lot of freedom. I think we can all agree that, 1) education in these areas need work in our society, and 2) kids will benefit from learning these things. That’s the point here. It’s not to degrade any individual teacher or school. Finally, I want to steer clear of religious and political topics, because while this may be a controversial post, my only agenda is to make a better future for our kids in America. I didn’t want lose value by making you think I had any other motivation behind writing this. Of course, my faith will still show through, but I’m not writing this to convert anyone to my political or religious beliefs. I’ve broken these down into categories to make it easier to skim. Let’s start with personal finances, because this is, after all, a finance blog. I learned how to balance a checkbook in school and what the word budget meant. That was it. I’ve since written less than 20 checks in my life, and I’ve learned that budgeting is highly personal (hence, “personal” finance). These are some things I know now that I wish they had taught me in high school. Budgeting comes down to living within our means, and most adults were never taught this. How do I know that? Because Americans have well over $3 trillion in total outstanding, consumer debt 1. Learning budgeting is simply a matter of tracking expenses, deciding how much to spend in each area of life, and sticking to it. It’s an easy concept to teach in schools. This chart assumes a 12% interest rate. 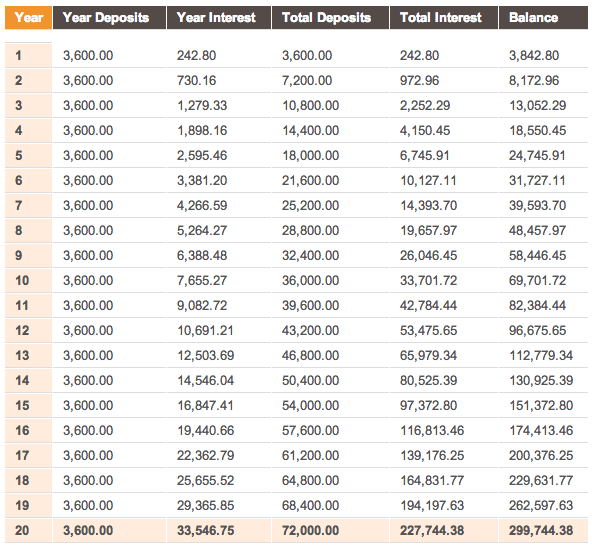 The rate isn’t important here; the comparison between total deposits and total interest is. Refer to “Compound Interest” on our list of finance terms kids need to know to see a comparison between someone who started young, and someone who started just a few years later. In saving or investing, “pay yourself first” is a simple concept where you focusing on saving and investing with the first money you receive, and then live on the rest. We all know that if we wait and save what’s “left at the end of the month,” there will never be anything left — there will always be more month than money. But if we save first, we’ll always find a way to make ends meet. Children should, at a minimum, understand their options for investing. They need to know about stocks, mutual funds, and real estate before a salesman explains these concepts to them. Refer children to point #2. They should understand the importance of investing early on. Credit card rewards are great, and I love and use them as much as anyone, but it’s more often the case that credit cards will ruin your life. Statistically speaking. They’re more than capable of doing so, and we all know at least one person, if not many, who has proven that. With the average credit utilization ratio hovering around 30% 3, credit cards are posing a huge risk to families across the country. While it’s been falsely believed that a 30% ratio is where you want to be, it’s actually the maximum ratio credit bureaus want to see, and many people are crossing the line 4. When it comes to rewards, 3 in 10 credit card users never end up redeeming them anyways, according to a 2017 Bankrate study 5. There’s plenty of simple and obvious facts kids should learn about credit cards in the classroom, but the most important thing is that they understand the potential dangers. Credit card companies are now required by law to show you how long it will take to pay off your debt at the minimum payment, we could show this to kids before they have their first card. Debt—credit card and otherwise—is infiltrating our country as a whole. When a child hears something like “debt is a tool,” it makes it seem ok to keep a revolving balance on credit cards. I’m not here to argue whether debt is a tool or not, but when people say that, they’re definitely not talking about basic consumer debt. While I understand maybe having a mortgage, debt is an enemy, not a friend. Kids graduate high school thinking they’re always going to have a car payment. In reality, that’s what the debt industry wants them to think. When a $523 car payment is the new norm 6 and many exceed $1,000, we’re missing a simple lesson in our schools or homes. Insurance is almost as inevitable as taxes. The general rule is, if you can’t afford to replace it, insure it — Kids need to know that. Emergencies and unexpected events happen, and most Americans can’t even cover a $500 emergency with their savings 7. Insurance should be taught before the insurance salesmen reaches the kids. That’s typically when they learn about insurance An insurance salesman is a dangerous teacher. Kids need to know the different types of life insurance, the difference between liability and full coverage car insurance, and so on. Most importantly, they need to learn when they need each type of insurance. From home and cars to drum sets and 98″ 4K TVs, our children will be making large purchases. They need to come prepared. Even something as simple as teaching children that these large purchases don’t have to be financed would be sufficient. Because many kids think they do. We talked about car payments above in #6, but do kids realize they can make car payments to themselves? In an interest-bearing account? Probably not, but this is something they should be taught. It’s a simple concept, but it’s not standard practice. Children should be taught the power of automated savings (and investing for that matter). It’s easy to save $1,200 over a year if you automate $100 a month. The first step in Dave Ramsey’s famous 7 Baby Steps is to save $1,000 as a starter emergency fund. Once all debt other than the mortgage is paid off (Baby Step 2), he suggests saving 3-6 months of living expenses as Baby Step 3 8. An emergency fund is a crucial part of finances. I don’t know of any financial guru who doesn’t recommend having an emergency fund. Still, so many Americans don’t have one. 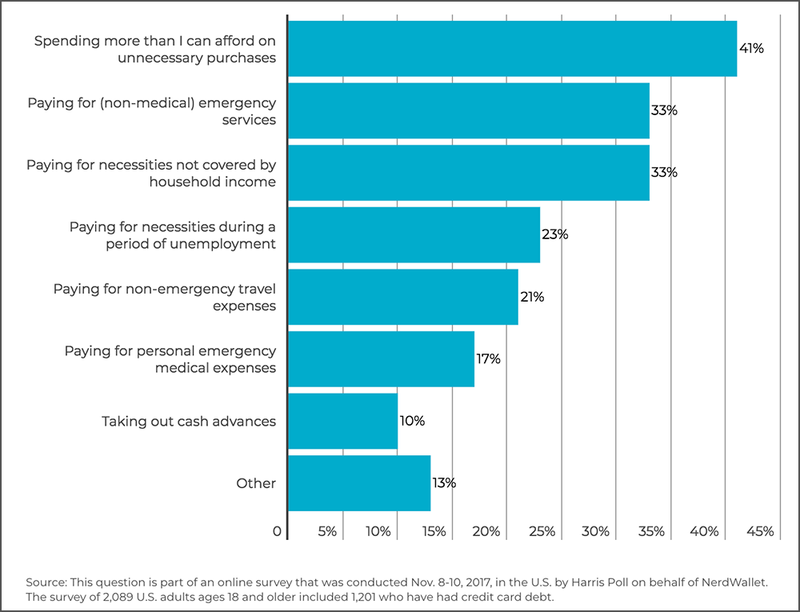 40% of Americans don’t have enough in savings to cover a $400 expense 9.
Credit cards are the most common way I’ve seen young adults handle emergencies. I’m not sure if the credit card companies are teaching this, or if kids decide this for themselves. It’s a toxic solution to a problem that could have easily been solved with enough savings. Student loans are often preached like car payments as unavoidable expenses. Our kids need to understand how student loans work, how long it will take to pay them off, and that they aren’t a must-have in life. As I’ve said before, college isn’t for everyone, despite what the schools are teaching. But if college is for your child, student loans aren’t the only way. Scholarships, paying as they go, and the military are three great options that are overlooked by so many parents and children. While there are some student loan forgiveness programs, in general, student loans are the one thing that never goes away, even after bankruptcy is declared. Sure, it’s possible to get rid of student loans in bankruptcy 10, but it’s difficult, and I’ve never seen it work. And I’ve seen a lot of bankruptcies. Many children will begin paying taxes before they graduate high school. They’re already paying taxes when they make purchases. Often, it’s a wake-up call when your kid has saved his money for a large purchase, only to get to the counter and realize he doesn’t have enough to cover the taxes. We’re taxed when we earn, when we buy, and when we die. And it doesn’t end there. While most Americans accept this as something they can’t change, there are ways to lower your tax burden, and kids need to understand that. At a minimum, the curriculum should include a basic overview of the different kinds of taxes. Most adults don’t even understand their W2. Some records should be kept for a year, some for five, and some for life. It’s important to distinguish which is which. You don’t want your child to trash important records, but they also don’t need a home filing system for every record they’ve ever been given. Accessing records, such as taxes, medical, legal, and other financial records, is another overlooked piece of being an adult. Kids need to know where to go, who to ask, and how to get copies of all records. This even expands into practical records like credit reports. 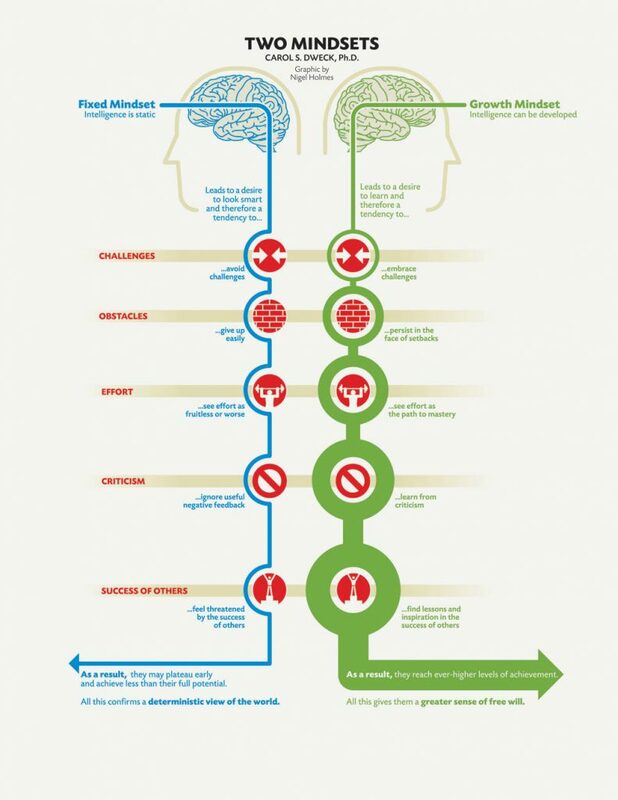 In her growingly popular book, Mindset: The New Psychology of Success, Carol S. Dweck explains the growth mindset and the fixed mindset (see a summary of the book here). I didn’t learn this concept until my first course in college, but it seems like it’s starting to spread to some junior high and high schools. A child’s ability to question everything, and see through the eyes of a skeptic, isn’t fostered in every school because it goes against much of the entire school system. Many schools would rather the children just listen to what they’re sold told, without providing their own ideas. And especially without questioning too many things. Often times, the more important something is, the more the school doesn’t want it questioned. I had a few great teachers in school who tried to instill this mindset in children, but it was often buried by all of the teachers who wanted everyone to conform to the status quo. It’s a sad day when children don’t have the freedom to question… even when there isn’t an answer. Kids need a healthy sense of skepticism (not cynicism). Most of the greatest concepts, companies, and inventions have come from people doing exactly that. We should teach kids to be respectful, listen to their teachers, but question everything. We always tell our children that they need to be respectful to their teachers, but at the same time, teachers can make mistakes too. I think the schools would win a lot more hearts if they taught the students to be skeptics, as opposed to teaching students to do whatever they’re told. Additionally, the sense of conforming to authority through and through can be dangerous. How many sexual assaults could be prevented if our children knew it was ok to say “no” to an adult who has gone too far? I get it. Most schools have art class. Kids also have the choice to join band. And there are a few good writing teachers out there who truly understand the importance of creativity. But unfortunately that’s not the standard. And what about creativity in math and science? The school system tends to talk about creativity like it’s a special “extra” thing that kids do occasionally, which has led to a separation of the creative classes (e.g. art, band, etc.) and the academic classes (e.g. math, science, etc.). We would do well to get rid of that distinction. Einstein never held that distinction. Most of our greatest thinkers did so through the lens of creativity, not academia. Teaching kids to understand themselves may be one of the most important things we could teach. I would’ve loved to understand this better as a kid. I was different in a lot of ways, especially socially, and it always seemed like the teachers directed their lectures to one type of individual. If we’re taught to understand ourselves, and how we learn, we could change the world. I do think the understanding of different learning styles is increasing, but kids who learn differently are still often brushed off as “problem children.” If they understood why they learned differently, and more importantly, how they learned, it could change everything. Personality tests shouldn’t just be for corporate training. Kids could benefit greatly from these. In his best-selling book, Emotional Intelligence, psychologist Daniel Goleman explains that people who are more self-aware have a higher level of psychological health and a more positive outlook on life 11. We’ll talk about emotional intelligence in a moment. Maybe we should be teaching entrepreneurship in schools. Entrepreneur actually published an article explaining four entrepreneurial skills we need in the classrooms. But we don’t teach this. Even entrepreneurial MBA programs tend to teach you how to manage someone else’s business, rather than how to start your own. I know, the big argument here is that they don’t teach entrepreneurship because it’s not something that can be taught. I’ve heard “entrepreneurs usually just drop out of school anyways,” but how many more kids could grow up to create amazing businesses if we did actually teach this in school? Many entrepreneurial concepts are teachable. The school system typically teaches a right and wrong answer for everything. When taking a test, answer C is correct, which means answers A, B, and D are all wrong. Or that you’re wrong if you don’t use the “book answer.” That works for questions with a basic right or wrong answer, but it’s also used for questions that could have multiple solutions. What if we focused more on solving problems, and less on being right? If a student finds a solution to a problem—even if they came up with a different solution or came to it by a different way—they could still be right. I understand that 2+2 will never equal 11, but when it comes to which answer is “most correct,” there’s some room to argue, and “most correct” shouldn’t purely be up to the teacher’s discretion. We could teach kids creative problem solving in more areas than we do. And the conversation of how they come to certain conclusions may be even more important than the conclusions themselves. Adults are starting to realize the benefits of mistakes. You may have heard the phrase “fail forward,” which was first popularized by John C. Maxwell in his book with the same title. Edutopia says, “Changing your students’ perspective on mistakes is the greatest gift you can give yourself as a teacher 14.” TeachThought gives nine ways teachers can help students learn from mistakes. Studies have shown that the use of “productive failure” is more effective than simple, direct instruction 15. While there aren’t many studies on how teachers respond to mistakes in the classroom 16, teachers often punish for mistakes that could’ve been used productively. Schools teach the value of education. They teach the value of talent and skill. Many great schools even teach the value and importance of hard work. But we’re not teaching the value of showing up. Kids can have all the great ideas in the world, but if they don’t understand that success comes through persistence, they’re going to give up before they hit the mark. This is a popular word in the military. We have entire days devoted to resiliency training. That’s because the military understands the importance of being able to bounce back from life–“to recover quickly from difficulties,” as the definition states. The most resilient people I know are military children. Kids who grow up moving from place to place, school to school, because their parents get reassigned every few years. These kids are able to adapt and overcome things that most kids never have to worry about. I think this would be a great thing to start teaching in all of our schools. There are few life skills that provide more benefit than resilience. Plus, there are already curriculums and training plans out there for it. Why should kids wait until college to go to their first course in logic? Kids have to reason through questions and assignments every day in school, without ever being properly taught how to do so. It’s easy to overlook a subject like logic, or view it as unnecessary. On the surface, it may seem unimportant. But a child’s ability to reason, through learned logic, is a huge asset in his ability to make decisions for the rest of his life. Whether a child goes into the corporate world, owns her own business, joins the military or simply works at a small business in her home town, business and productivity skills will prove useful. Open a book on productivity and you’ll likely see a phrase like this. It’s one of the first things you learn in your career. Many children are already working smarter not harder by nature. It’s about getting kids to find the most efficient way to do things. Kids can learn this concept through how they study. And they can apply this concept in every area of school. I already know of a few teachers who teach it. Sure, sometimes children may need to understand the difference between working smarter and cutting corners, but teachers can groom that. In fact, when teachers see kids cutting corners, that’s a great time to introduce the concept of working smarter, and doing it with integrity. 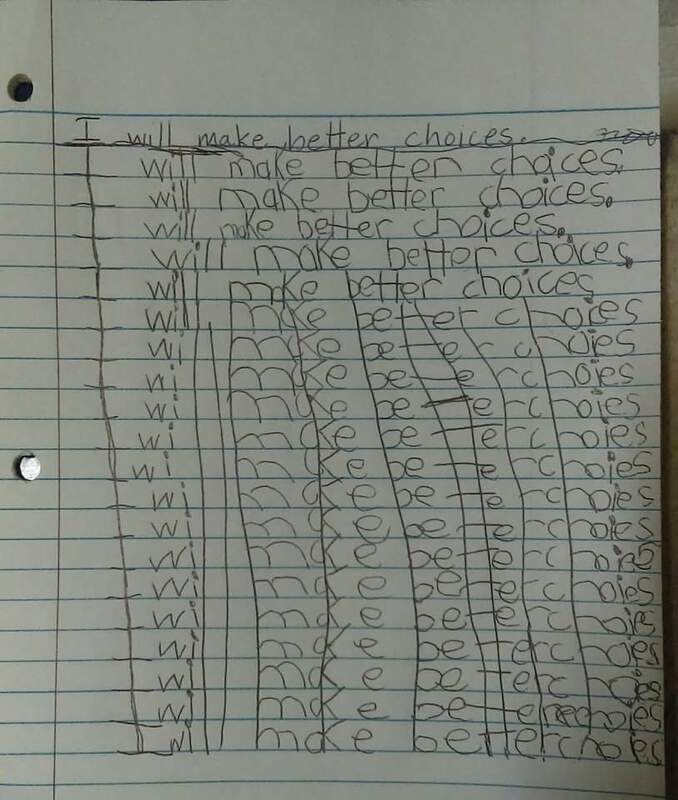 Instead of labeling behavior as “bad” and discrediting it, we can use the kid’s intentions to teach them how to foster the ideas of working smarter, not harder. The Pareto Principle, named after Italian economist Vilfredo Pareto, is known as the 80/20 rule, since it states: roughly 80% of the effects come from 20% of the causes or 80% of the results come from 20% of the work. It’s also referred to as the “Law of the Vital Few,” because that 20% is vital to 80% of your success. This isn’t a magic formula, through it was groundbreaking when it was first introduced, but it’s quite an insight. Of course, it doesn’t apply to everything, ever. But it applies to more than you might think. It’s a simple rule kids can learn to help them focus on what’s important. Leadership is encouraged within certain organizations in schools, but true leadership isn’t taught. I’ve heard it said that “authentic leadership can’t be taught, it must be modeled.” I think that’s half true. Sure, it must be modeled, but the concepts and key ideas can be taught. That’s exactly what John C. Maxwell has been doing through his books. As part of his five marks of authentic leadership, Michael Hyatt explains that authentic leaders have insight, initiative, influence, impact, and integrity. While it’s not easy to teach every single one of those, the importance of them can be taught. And if we’re going with the “leadership must be modeled, not taught” philosophy, we’re missing the point that modeling leadership is teaching leadership. The difference would be actually putting it into a class, instead of hoping that the students will see the teachers and school staff modeling leadership. Even if we just started by teaching the difference between persuasion and manipulation. It’s a fine line, but it means everything. Children will often get this in their first semester of college. Why do we wait so long? It’s as simple as learning to prioritize and be intentional with your time. Of course, kids can’t learn to manage their time without time to manage, so it’s key that the schools (and our homes) are giving children enough open time to manage 18. If we’re structuring every minute of their school day and home time, they literally won’t have the time to learn time management. I’ve seen teachers who have their kids use agendas religiously, and this can be a great thing. But more often, I’ve seen teachers give their kids an agenda and have the kids figure it out on their own. I wonder how many agendas are floating around the classrooms with only the first two weeks of school filled out. Email Etiquette – Email is going to be a huge part of your child’s life. They’re already using it in schools from early grades. It’s important to understand that people can’t interpret your mood through words, so what you say is what matters. Wording is important, especially when words are all you have. This applies to the corporate and professional world, ministry, military, and life in general. Social Media Etiquette – 92% of teens go online daily, and 71% have more than one social media website, according to Pew Research Center 19. And that was as of 2015. I’m sure it’s increased significantly to somewhere around 105%. What kids post on social media matters. These are real people. Kids need to learn what’s ok to say and what’s not. Cyber Safety – 90% of teens have witnessed cyberbullying in their lives, and 10-20% reported it happening to them personally, on a consistent basis 20. On top of that, it’s believed that almost 40% of cyberbullying goes unreported 21. Between protecting themselves on social media, through email, and online in general, kids need to learn the risks and how to combat this. I’m happy to see cyber safety making its way into schools. It’s important to talk about things like cyberbullying. On a more positive note, learning proper email and internet etiquette will serve students for the rest of their life 22. Listening Skills – I think every teacher would love kids to learn this one, but I’m not just referring to doing what you’re told. I’m talking more about assertive listening — learning how to listen to others, actually hear what they say, and for kids to be able to explain it in their own words. Communication Skills – If you have something to say, it won’t make a difference, unless you can communicate it. Kids need to learn how to get their point across the right way. Negotiation Skills – Negotiations don’t just happen in used car lots. We negotiate in all areas of our lives. We’re either trying to obtain something, or trying to sell something, in one way or another. We’re all in sales, in one form or another. The simple fact that salesmanship has such a bad reputation is evidence that we need to be teaching the right way to sell something to someone. There is always a win-win option, but most salesmen are known for preferring win-lose. Win-win isn’t a myth, regardless of what others have said. The mentality that “win-lose or lose-win is the only option” is further evidence that we need to show kids how selling should work. “Think win-win” is one of the 7 habits of highly effective people for a reason. Along the same lines as sales, advertising and marketing skills will be great to help children spread ideas, but also to protect them from the advertising and marketing industry. There are alarming studies that show how advertising affects your kids, but I won’t get into that here… because I already got into it here. It’s something kids need to understand before these companies reach them. It would be great to teach delegation in leadership, but even more so it would be great to teach that delegation doesn’t always happen downwards. People should focus on what they’re best at. It seems like this is a concept that CEOs and high-level leaders grasp, but why does it take 40 years to figure this out? If we start teaching kids to spread the workload and focus on their personal specialties, they could start implementing this before they approach retirement. I get it. Schools try to encourage teamwork, but it usually happens on the football field or somewhere else where a ball is the centerpiece. We can teach kids to build teams and let individual strengths shine through. We don’t need a ball to do this. I have nothing against sports in school, but that’s usually the answer when a parent wants their kid to learn team building, or discipline. That’s great, but it should be part of the standard curriculum for everyone, because it’s important, and because sports isn’t for everyone. Remember those awkward speeches we all gave in school? The ones where we didn’t really know what we were saying because we were so worried about looking stupid or making a mistake? You know, the speeches that nobody paid attention to unless you did look stupid or make a mistake. High school speech and lecture classes are often graded on correct formatting, form, and by hitting points on a checklist. That doesn’t translate to what actual public speaking looks like. Glossophobia, or fear of public speaking, affects roughly 75% of the population 23. I wonder if this isn’t partially caused by the way we are teaching it, or even by the lack of teaching it. Just a thought. I have nothing to back that up. But I remember how school made me feel about public speaking, which is why I used to be afraid of it. When we’re grading a child on how to speak publicly, there should be one criteria: did the student effectively communicate his point? That’s it. Maybe if we taught speech this way, more kids would want to participate. Again, focusing on their strengths in speaking, whatever those may be. They may even enjoy public speaking, instead of fearing it! Statistically, privately educated British students will control many top professions and political positions, according to a 2014 report 24. Why? Because these schools emphasize real and realistic public speaking skills. There are highly effective ways to teach these communication skills, but they’re most often left out of speech class. As I said in, 11 Things Your Child Must Know About Money Before Leaving Home, “the basics of a good interview consists of things like a firm handshake, eye contact, confidence, and honesty.” These are the simplest things and we could teach them easily. What about writing a resume in the first place? We shouldn’t wait until college to teach this stuff. Many kids are getting hired straight out of high school, and often in fairly high paying jobs. Sure, everyone isn’t going to be a business owner, but it’s like it isn’t even an option in many schools. The school curriculum assumes you’re either going to work for someone else, or go to college… and then work for someone else. Future Business Leaders of America (FBLA) may have it right on this one. It’s a great option, but it’s not at every school, and many of these concepts could easily be taught outside of FBLA. We have “Debate” in school, and that’s a great club to get kids into, but debate doesn’t always translate to negotiation. In fact, negotiation is about coming to an agreement, whereas debate is often just about winning. This goes back to the win-win mentality. Great negotiation skills make that possible. If we only added one thing on this list to our current curriculum, this should be it. This can quite literally cut back on the number of school shootings if kids embraced the concept of learned emotional intelligence. The benefits are huge and the need is great. A science journal points out that students with stronger emotional intelligence had improved learning strategies 25. Many studies have explained the benefits of learned, increased emotional intelligence 26, and some studies have even shown the effect of emotional intelligence as it has been increasing in recent generations 27. Law is a funny thing, because we talk about lawyers at the best and worst end of the spectrum. 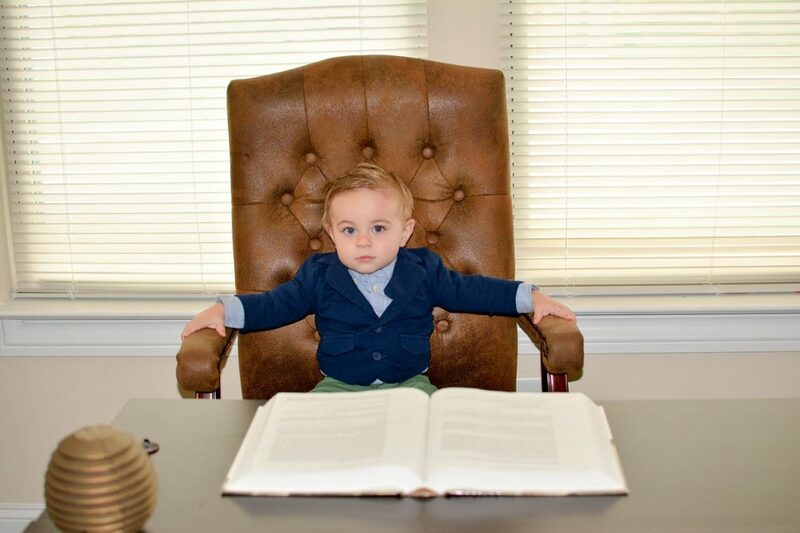 We group lawyers with doctors when we talk about successful things kids can grow up to be. But then we say things like “I trust you like I trust a lawyer,” hinting that lawyers are shady or devious. Like with any profession, there are good ones and bad ones, but we can all agree that everyone needs a lawyer at one point or another. Why do we need a lawyer? Because Law is often complex, dry, and confusing. I don’t think public schools can do anything that would eliminate the need for a lawyer in certain circumstances, but they could do something that eliminates many of those “certain circumstances” in the first place. We are all subject to the law in its entirety, regardless of what we do and don’t understand. As Joel Cohen points out in, It’s Time We Teach Law to Kids, ignorance of the law is no excuse, and that ignorance doesn’t excuse anyone from the law 28. It turns out, “I didn’t know I couldn’t do that” doesn’t always eliminate jail time. JustGreatLawyers actually came out with a great lesson plan to teach Law to kids from pre-school to high school. Maybe we could implement something like that. For more on this, Michael Shammas, lawyer and writer, published a great piece on HuffPost: Teach Law Outside of Law Schools. It’s worth a read. Now we’re getting into some unsettling topics for many. Stay with me. Remember, this entire article is meant to be an exhaustive list. It doesn’t apply to everyone or every school, but this section has many crucial skills that kids in public and private schools need to know. Along with emotional intelligence, this is one of the most important things kids could learn. New studies from the American Psychological Association are showing that kids are more stressed than ever, and it’s getting worse 29. Another APA study revealed that teens are more stressed than adults 30. Even worse, suicide rates for teens are soaring, up 70% for white children between 10 and 17, and 77% for black children, even though black children typically commit suicide at a lower rate than white 31. There’s obviously a growing problem, and stress, whether over catastrophic or mere “common” issues, is the cause. Stress and anxiety hit kids before they even know what’s going on. This could lead to signs of depression at younger ages than ever 32. There are plenty of techniques and ways the schools can help. I think it’s important that this is implemented in schools rather than at home, because in so many cases, the stress is coming from home. If kids were only worried about their grades and the amount of play time they get, they wouldn’t be committing suicide and facing depression at such an alarming rate. When I first decided to climb out of the mountain of debt I had accumulated, I decided to work every waking hour of every day to do so. I worked full-time nights as a restaurant manager, full-time days at an auto body shop, all-day construction jobs on the weekends, and ran a paper route from 1:00am to 3:00am every morning. I still remember one of my mentors telling me that it wasn’t worth the time I was losing with my family. How many of us have had this same experience? We look back to realize that we missed much, if not most, of our children’s lives because we were workaholics. Maybe you still are. Maybe we could teach kids work/life balance before they graduate high school. I get that this is often a lesson that has to be learned firsthand, but it’s also something we could teach before the cycle begins. If my mentor hadn’t sat me down and told me how he used to work too much and why it was a mistake, then I may still be working myself to death. It still took a few years after that conversation to finally click. If I would’ve learned about that in high school, maybe I would’ve figured it out earlier. Instead of living a life of “if I could go back…” or “I wish I would’ve or would’t of…,” we could try teaching this stuff. It couldn’t hurt, and it just may help a lot. Learning how to deal with and relate to people is important in business as I mentioned in #27, but it’s more important in personal life. I don’t know how well a marriage class would go over, and I know there would be fights over the curriculum, but we could try a relationships class. At a minimum, kids could learn how to identify toxic relationships, and foster real relationships. It doesn’t have to be religious. There are plenty of universal principles. Things like “respecting boundaries” could be useful, as an example. Who knows, maybe these lessons could prevent some of the sexual assault, which comes partially from wrong thinking about relationships in the first place. Life is based on relationships, why not teach kids some basics? From people selling a free Disney Land ticket in exchange for “an hour of your time” to sit through a presentation, to princes in foreign lands giving away millions of dollars via email, the number of scams is not shrinking. The younger you are, the easier you are to target. I fell for plenty of scams in my teens, and even more in my twenties. I lost $3,000 to one, and several hundred dollars to another. That’s just two of many. The signs were all there, I just didn’t know what the signs were. 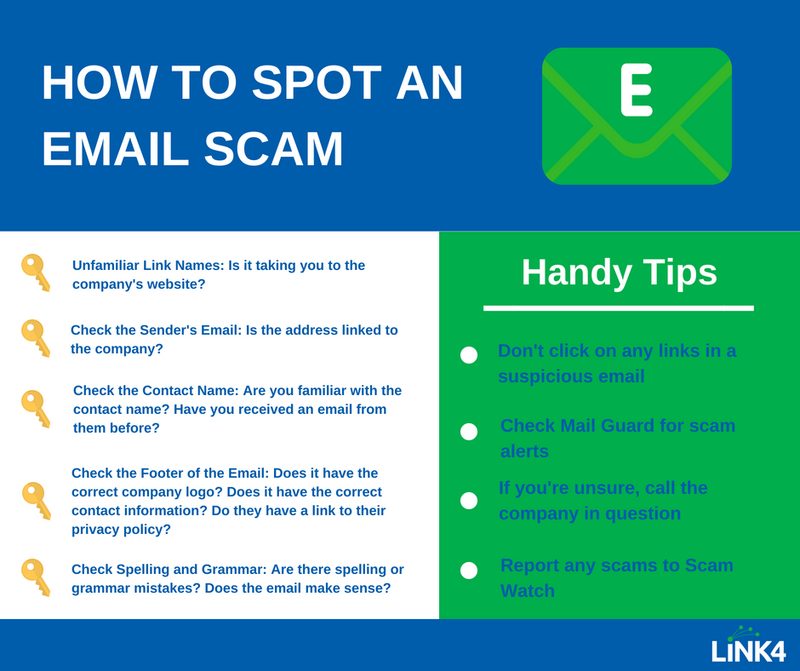 We could bring a little more awareness to scam spotting. I’ve been the first responder to four car accidents in my life, and I am not a First Responder. It just happened that we came upon an accident right after it occurred, or saw it happen in front of us. You never know when that will be your kid: first on the scene. And sometimes you’re the only one around, as my wife and I were in middle-of-the-desert Arizona on Interstate 10 at 2:00am, when we saw a driver fall asleep and flip his SUV. I’m sure I forgot a few basics, but you get the point. We also need to train children how to handle and react in emergency situations. You’d be surprised how many people forget the number to 911 in an actual emergency — in some cases, even saying out loud “what’s the number to 911?” while others draw a blank as well. The main piece of advice I use comes from my buddies in the military spec ops community: the first thing to do in an emergency situation, or any highly stressful situation, is to immediately pay attention to your breathing and start calming yourself down. Would it be beneficial for our kids to know these things? I think so. Even if you never plan to do your own maintenance, and you plan to teach your kids the same, it’s still a good thing to know. Of course, you can save some money if you DIY, but if you think your time is more valuable than the money saved, it’s still good to know when you’re getting ripped off. Parents who are capable often teach these things to their children, but many parents don’t know how to do the basics. There’s nothing wrong with that, but I think we could all agree that it would benefit our kids to know… and maybe they could teach us a thing or two. This is a tough one, because I know as well as anyone how much views of how to parent can differ. But there are still the basics, like caring for a newborn, listening to your children, and finding a discipline method that works for you. To reach from each side of the spectrum, I think it would be a terrible idea to teach spanking or gentle parenting. I could cite a bunch of studies that prove either method [or anything in between] is the most effective, but that’s not a topic for the classroom. The idea would be to teach the basics, instead of avoiding the topic entirely. Violent crimes in schools are actually down, but they’re still prevalent. 65% of public schools recorded incidents of physical attacks or fights without a weapon in the 2015–16 school year, compared to 71 % in 2009–10 33. Both numbers are troubling. Maslow’s hierarchy of needs shows how safety is a basic human need. Safety is 90% awareness, knowledge, self-esteem attitude, confidence and choice, and 10% strategy, de-escalation language (we’ll talk about that below), physical defense tactics, and protective gear 34. Teaching situational awareness (also known as SA) would be amazing. The military harps on this because we’re often targets when we travel overseas. Children are targets just for being alone, anywhere. Because attackers are most likely to pick a target who looks like they can’t defend themselves. If we only taught kids one aspect of self defense, I think situational awareness would be the choice. See more facts on this handout from Plainfield Central High School. Self defense isn’t just physical. Verbal Judo, the act of verbally deescalating situations, is something we’re taught in the military. And it would make a great addition to the classroom. It would teach kids how to defuse situations through basic conversations. It doesn’t work all the time, but I’ve seen in work firsthand, and it beats not knowing what to say. Boy Scouts of America is great for boys and girls who show an interest in the outdoors, and want to learn more. For the rest of the kids, basic survival skills would still be a much needed [and fun] addition. Bushcraft skills—the skills needed to survive in the wilderness—could come in handy for anyone. Nobody predicts being stranded. You don’t have to be Bear Grylls to find yourself alone in the middle of nowhere. From hiking excursions gone wrong to plane crashes on deserted islands (and yes they do happen outside of Cast Away), there are some basic skills kids could learn that may save their life. On top of these worst-case-scenario skills, it would serve kids well to learn the basics of gardening and taking care of farm animals. Even just a few hands-off lessons would give children a greater awareness. I saved one of the most important for last, because this topics is so vital and so overlooked in our schools. I covered emotional intelligence (#36) and stress management (#38), but encompassing and overarching those is basic mental health. It’s rarely and barely taught. Nearly 1 in 5 Americans suffers from a mental illness, according to a 2014 Newsweek report 35. It’s no longer something we can keep pretending doesn’t exist — the primary method when I was in school. That old method of teaching (or lack thereof) is probably why 3 in 4 Americans with a mental illness still don’t feel like others are compassionate and understanding. The truth is, mental health awareness is effective and treatment works. Over 70% of individuals with a mental illness saw improvement in their symptoms and quality of life after participating in some form of treatment 36. To cover such an important topic [and to avoid restating what’s in every other article on this issue], I reached out to a friend of mine: Brandi Wiseman, BS, QBHP (Qualified Behavioral Health Provider) for Counseling Associates. She’s a Behavior Specialist in lay speak, and I’ve never met anyone more dedicated to their field. Brandi said, “the problem is that, for the most part, mental health isn’t taught in schools, and it should be. There may be one teacher who goes rogue and perhaps mentions ‘the signs’ that somebody is depressed. Or a tragedy like suicide strikes and they discuss it then.” She works closely with five large public schools and she sees the lack of mental health education all too closely and personally. She goes on to say, “in a perfect world, I would have mental health taught starting as early as fourth grade where it comes up as a topic, either in science or even PE. In high school, it could be part of the health sciences course kids are required to take before they graduate. Furthermore, middle schools and high schools could hold assemblies with speakers during mental health awareness month.” That would be the month of May if you didn’t know — I had to look it up. Brandi suggested hanging boxes, similar to suggestions boxes, for kids to drop notes into if they notice they or someone else is feeling depressed. These kids could later be called into the counseling office to discuss it. Brandi also worries that school counselors are so bogged down with paperwork and scheduling that they are barely free for their primary intended purpose: counseling. The Mighty, a publication who strives to bring awareness to mental health and other health challenges, gives 12 mental health lessons they want to see in classrooms. Give it a read. 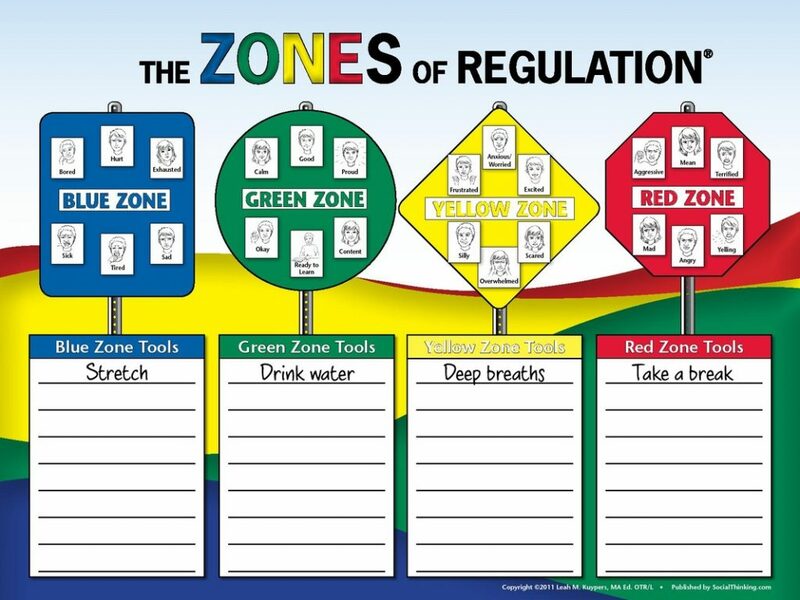 Finally, Brandi suggests replacing the color behavior chart with the “zones of regulation color chart.” She says, “if a child is being disruptive, instead of humiliating them further and escalating poor behaviors by changing their color, direct children to the zones of regulation color chart to find coping skills.” It addresses and tries to correct the issue, instead of only punishing children. This was my first time seeing this chart, but I think it’s a great idea. And for those of you who see “take a break” in the red category and think, “I know what would fix those kids in red and the only thing that may break is my belt,” you’re missing the point. I’m not trying to restructure the school system. Though, 9,000 words later, it may seem that way. I’m simply trying to bring awareness to some big issues our kids are missing out on. I think every one of these points should be taught at home if they aren’t taught in school, but as we all know, not everyone is fortunate enough for that to be a possibility. For some kids, school is a getaway from an abusive, neglectful home life. Many great teachers teach many of these points, but sometimes teachers’ hands are tied, and teachers are often given a curriculum that leaves no extra room. It would make their jobs easier if these concepts were added, instead of trying to stuff them in somewhere. Maybe you disagree with some of these ideas. Maybe I’m wrong about some. But if I made you rethink the current construct of the classroom, I feel that I did my job. I wouldn’t spend weeks writing this article if I didn’t care. If you think I did this for money or some other gain, you must not be a writer. Finally, many of these concepts aren’t full-semester ideas. Many are simple additions to things we already teach. But many would be full-semester classes, and those are the ones we should really be striving to include in schools, because those demand the most time. Mostly, I’m interested to know what you think should be included. Are any of these skills taught in your kids’ school? Did you learn any of these skills when you were in school? What’s something I missed that should be taught in schools? Federal Reserve. (2019, February 7 – updated regularly). Consumer Credit: Current Release. Board of Governors of the Federal Reserve System. Chris M. (2014, February 4). Some Simple Investment Calculations With Compound Interest Examples. iMod. Rivera, K. (2016, March 14). Men vs. Women: Who Wins the Credit Game? Experian. NerdWallet Staff. (2019, February 5). 30% Credit Utilization Rule: Truth or Myth? NerdWallet. Rossman, T. (2017, April 12). 3 in 10 Have Never Redeemed Credit Card Rewards. Bankrate. LeBeau, P. (2018, May 31). A $523 monthly payment is the new standard for car buyers. CNBC. Steiner, S. (2016, January 6). Survey: How Americans contend with unexpected expenses. Bankrate. SLBA Staff. (2019). Bankruptcy. Student Loan Borrower Assistance. Zhu, J. (2017, January 2). What is Self-Awareness and Why is it Important? Positive Psychology Program. Umoh, R. (2018, November 15). Mark Cuban: Here’s why you should teach your kids to be entrepreneurs. CNC Make It. See Cameron’s TED Talk: Let’s Raise Kids to Be Entrepreneurs. Maats & O’Brien. (2014, March 20). Teaching Students to Embrace Mistakes. Edutopia. Kapur & Bielaczyc. (2012). Designing for Productive Failure. Journal of the Learning Sciences. Volume 21, Issue 1, p 45-83. Eva, A. (2017, November 28). Why We Should Embrace Mistakes in School. Greater Good Magazine | Berkeley. Schleifer, M. (1990). Training Teachers in Logical Reasoning. The Journal of the Canadian Philosophy of Education Society. Lenhart, A. (2015, April 9). Teens, Social Media & Technology Overview 2015. Pew Research Center. NoBullying.com Staff. (2017, April 10). Bullying Statistics: The Ultimate Guide. NoBullying.com. Baird, D. (2009, May). Teen Online & Wireless Safety Survey. Scribd. Black, R. (2018, June 4). Glossophobia (Fear of Public Speaking): Are You Glossophobic? Psycom. Grice, A. (2014, August 28). Old boy’s club still dominates public life, according to a major new report. Independent. Hasanzadeh & Shahmohamadi. Aa(2011, December 17). Study of Emotional Intelligence and Learning Strategies. Procedia – Social and Behavioral Sciences Volume 29, 2011, Pages 1824-1829. Brackett, Rivers & Salovey. (2011). Emotional Intelligence: Implications for Personal, Social, Academic, and Workplace Success. Yale University. Yüksekbilgili, Zeki & Akduman, Gülbeniz & Hatipoğlu, Zeynep. (2015). A Research about Emotional Intelligence on Generations. International Journal of Advanced Multidisciplinary Research and Review. Cohen, J. (2017, June 20). It’s Time We Teach Law to Kids. HuffPost. Munsey, C. (2010, January). The kids aren’t all right. American Psychological Association. Vol 41, No. 1, Page 22. Harris Interactive Inc. (2014, February 11). American Psychological Association Survey Shows Teen Stress Rivals That of Adults. American Psychological Association. O’Donnell & Saker. (2018, March 19). Teen suicide is soaring. Do spotty mental health and addiction treatment share blame? USA Today. Center for Discovery Staff. (2016, November 9). Why Today’s Teens Are More Depressed Than Ever. Center for Discovery. (2018). National Center for Education Statistics. (2015). Why Learn Self Defense? Plainfield Central High School. Bekiempis, V. (2014, February 28). Nearly 1 in 5 Americans Suffers From Mental Illness Each Year. Newsweek. Holmes, L. (2015, January 14). 19 Statistics That Prove Mental Illness Is More Prominent Than You Think. HuffPost. It is a great list and anyone that has all of those skills/qualities/tools is destined for success. But the ones that matter the most, self awareness, emotional intelligence, relationships and others that might not have been on the list like integrity, honesty and kindness are things that can’t be effectively taught. They are absorbed from parents and other role models. Teachers can’t model endurance in a classroom, they can talk about a historical person that persevered but that’s pretty abstract. Raising good humans is just out of the realm of possibility for a school. 90% of that job has to happen at home. Teachers are like single parents with 30 kids, the kids may spend a lot of time in school but one on one time with the teacher is very minimal. True, and it’s sad how often it doesn’t happen at home. Seems like it’s turning into the norm for none of this to be taught at home.